Catherine Kane has earned the reputation as a seasoned leader in the legal space. Throughout the span of over three decades, she has garnered extensive hands-on expertise in the industry with a major emphasis to detail and superior customer service. She has effectively monitored multiple litigation projects concurrently utilizing comprehensive project management skills including large-scale case management in both the Discovery and Trial phases. 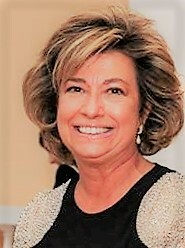 Currently, she serves as the Senior Vice President Northeast Region at Advanced Depositions and Advance Trial Technologies. Working with various esteemed national and international law firms both big and small, Cathy is well-versed in assisting clients with their cases by helping them effectively tell their story to the jury, cohesively explaining the case information, and graphically piecing it all together. In addition, she is adept in logistics, planning, and strategic implementation of the services for discovery and trial. Cathy also has an extensive background and expertise in answering industry-related RFPs and has a vast knowledge base in working with all types of audio transcription, including Federal, State, and Appellate. Furthermore, Catherine holds various designations, including an AOC Certified Transcriptionist and a Certified Thomson Reuters LiveNote Trainer. She is also an Agency Manager for the State of New Jersey and an NCRA Realtime System Administrator. Advanced Depositions is a national, technology-focused deposition services company. We provide our clients with highly-skilled court reporters, videographers, interpreters, technicians, and other resources, while combining the most advanced technologies with unparalleled client service, and state-of-the-art facilities throughout the country and around the globe. We take a consultative approach with our clients, ensuring that they always receive the best personnel, technology, and support, within a cost-efficient budget. Advanced Depositions has bi-coastal headquarters, and our East Coast operation was originally founded in Philadelphia more than 35 years ago. The company, formerly JD Reporting, has been a leader in the court reporting industry since its inception. We work closely with our trial support company, Advanced Trial Technologies (formerly Trial Technologies Inc.), to seamlessly manage your resource, support and technology needs, from discovery through the resolution of your case.